After pleasant sunshine and comfortable temperatures Thursday-Sunday all that changes with rain moving in starting tonight (Sunday). The National Weather Service forecast calls for 20% chance of overnight rain, increasing to 40% on Monday, up to 70% Monday night into Tuesday and 90% Tuesday night. Rain chances stay at 50% for Wednesday and Wednesday night and 40% on Thursday. 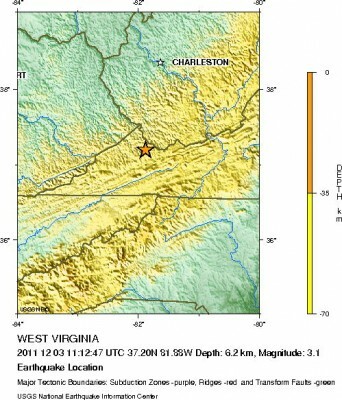 One other weather item of a regional note, a 3.1 magnitude earthquake hit near Richlands, Va on Saturday morning at 6:12am. Richlands, Va is located about 100 miles to the north of Boone, no injuries or damage has been reported by media outlets in that region. Back in August was when High Country residents, and others in the region, felt the ripples from a 5.9 magnitude earthquake near Richmond, Va.